Achieve gridiron greatness in Madden NFL 19 from EA with more precision and control to win in all the ways you play. Prove your on-field stick skills with more control over every step in game-changing moments through the introduction of Real Player Motion. Take control over how you build your dynasty powered by all-new strategic team-building tools and the custom draft class creator in Franchise. Dominate the competition with all-new ways to build and progress your NFL stars from the past and present in Ultimate Team. Built from the ground up, Real Player Motion transforms the way you play Madden by delivering game-changing control and precision on the field. Realistic character movements provide smooth, immersive animations for adaptive and believable player motion while animation variety creates authentic movement unique to positions and body types. Your favorite players become true-to-life from snap to whistle. User-Controlled Celebrations: Celebrate your way with a full collection of fan-favorite signature celebrations and bring the swagger of today's NFL. Control your scheme and develop players all the way to the Super Bowl. Strategy is key in your decisions as you take complete control over how you build your dynasty with three all-new, franchise-building concepts. Design your team by selecting authentic offensive and defensive schemes, then train, develop, and/or acquire players that fit your scheme using all-new positional archetypes. See your championship scheme come to life as you lead your team to multiple Super Bowls. Your players, your strategy, your glory. 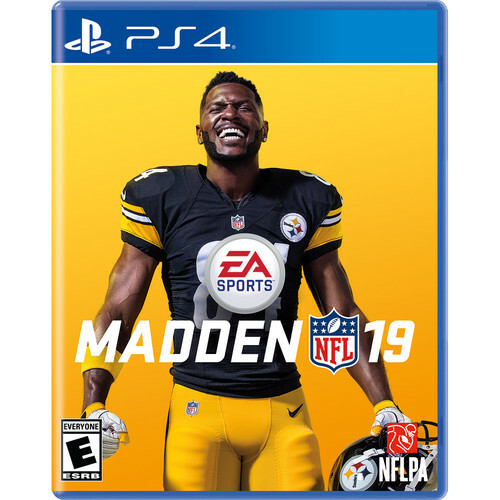 Madden Ultimate Team delivers the complete NFL fantasy team-building mode with updated ways to progress your favorite players from the past and present while providing fun, live solo and co-op challenges to compete in all year-round. Earn rewards in multiple ways to play and upgrade your team with a host of legendary NFL players. Solo Battles: A leaderboard-driven reward system that lets you compare your performance in unique single player challenges throughout each week against other top MUT Players.